Rarely available is an absolute understatement for this fabulous estate situated on a massive 90 x 170 oversized lot with attached triple garage! The long-term owners have spend hundreds of thousands of dollars updating this prestigious home, including a state-of-the-art renovation of the 24x11 kitchen with white cabinetry, hand-selected granite countertops, large island, upgraded S/S appliances, and built-in dual ovens. The media/family room has that Mad Men look everyone’s after--with luxe coffered ceilings, wood panelled walls and brick fireplace! The main floor also features a large living and dining room bathed in sunlight, and conveniently offers a main floor study, laundry/mudroom and powder room. 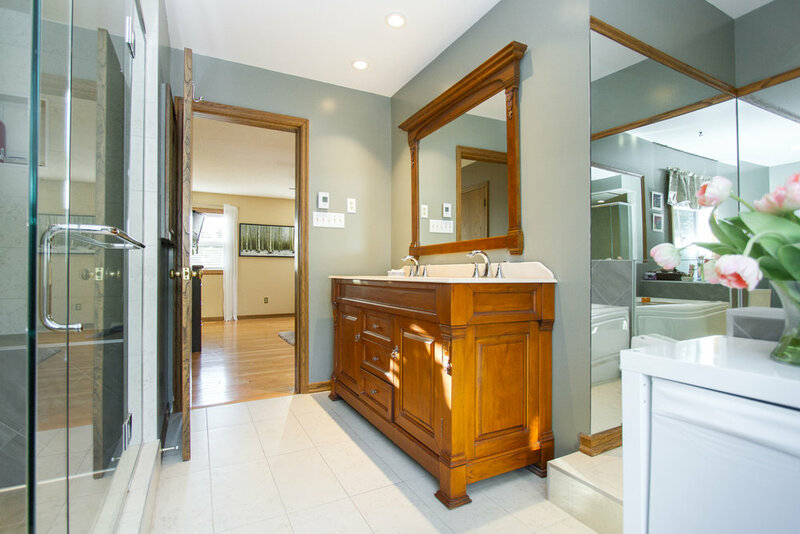 Upstairs features a large principal bedroom with fully renovated 5-piece bathroom with heated floors, jetted tub, and sizeable walk-in closet. The 3 other upper bedrooms are massive and share a well-appointed 4-piece bath. The basement is also fully finished, with a rec room, 3 piece bathroom, and den. Other updates include newer roof, driveway, windows, hi-eff furnace, pool and all windows but one. Want more? 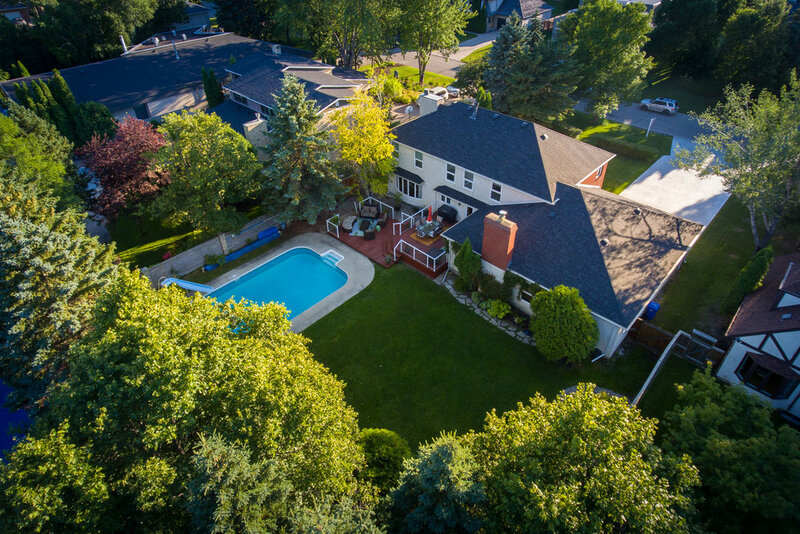 The backyard features an enormous 40x20 pool plus yard that feels like a soccer pitch surrounded by a canvas of mature trees, and multiple decks. Between the location, layout and lot, this is one of the nicest set ups in Manitoba and the ultimate lifetime home!